Established in 1988 and with a reputation as long as its line-up for brunch, Sophie's Cosmic Cafe has much to live up to among breakfast aficionados. 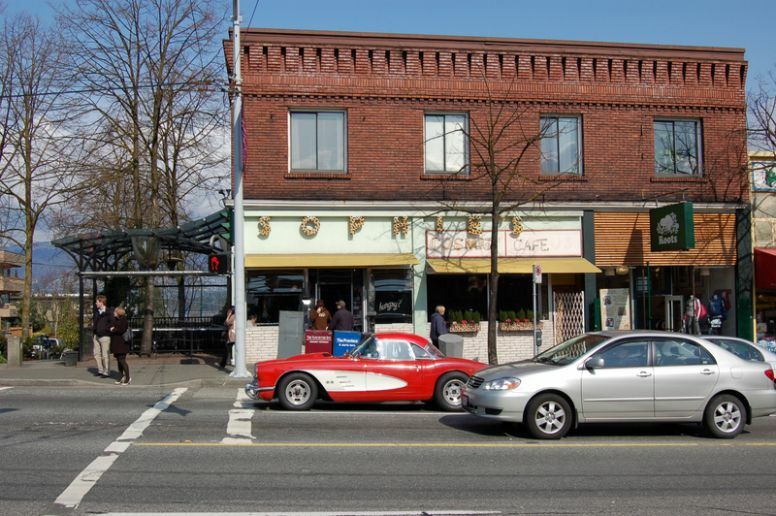 It's prime location in the heart of Kitsilano's shopping district, one of the swankiest locations in the city of Vancouver, and the almost garish giant knife and fork flanking the entrance also speak volumes about what diners might expect upon entering. The walls are adorned in every available space with what the cafe describes as "garage sale" decor, and the retro, red vinyl booths are spaced evenly throughout. There is also a small and but well laid-out patio that opens in summer (weather permitting) and looks most inviting on a rare sunny day. The brunch menu is both extensive and inviting, with options to choose free-range eggs, as well as some lighter choices for those not desiring a bang-up traditional Vancouver brunch. The cafe is also open for lunch and dinner and is fully licensed. If you are ordering one of the staples on the menu, such as three eggs any style, or Eggs Mexicana, be sure to have your stomach ready for the challenge. Sophie's Cosmic Cafe does not kid around when it comes to serving sizes, with each meal enough to stump even the most voracious of eaters. However, size is not the only noticeable trait of the meals, they are also well presented and incredibly tasty, and with most brunch offerings coming in under $10 they are great value. Sophie's Cosmic Cafe sells its own home-made hot sauce, a deliciously spicy sauce with the slightest hint of sweetness. You can request a bottle to adorn your meal and take one home with you if the taste is to your liking. 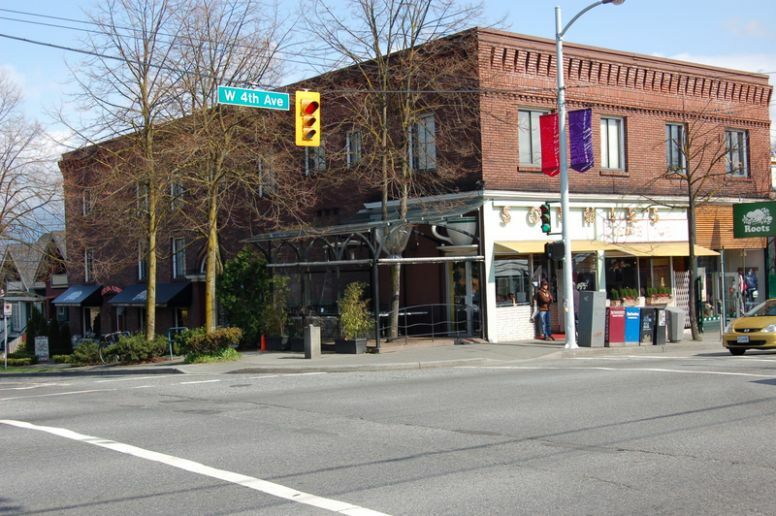 The family owned and operated cafe is open 7 days a week from 8am-9.30pm and is located on West 4th Avenue at Arbutus Street. Reservations can be made for groups of 6 or more, wheelchair patrons can reserve for groups of two or larger. Phone 604 732 6810. Arthur Wynne brings latte art and amazing coffee to South Granville and Downtown Vancouver at Wicked Cafe.